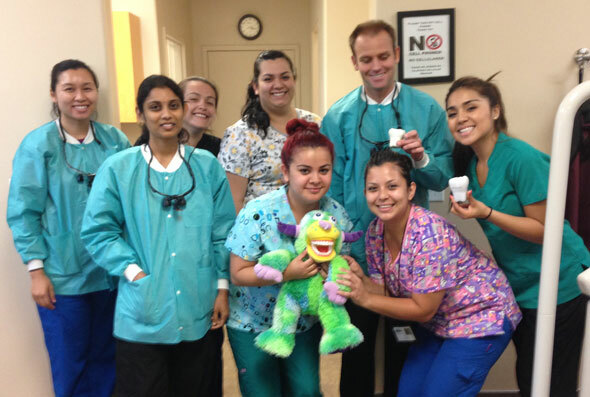 At the San Benito Health Foundation (SBHF), we believe in the practice of evidenced based dentistry. We stay current with the latest scientific American Dental Association approved dentistry recommendations. We treat our patients in our state of the art facility that was opened in 2009. SBHF houses eight dental chairs and a digital panoramic machine. We have integrated our electronic medical and dental records, allowing us to better serve our patients by being current with their medical history and drug list. This also allows us to have quick communication with our patients’ primary care providers to better serve their needs. We believe in promoting preventative care by participating in outreach activities in the community, providing school based medical and dental screenings, and doing comprehensive dental exams on every patient we serve. Our goal at SBHF is to educate every patient we come in contact with so they can share that knowledge with another and help prevent disease.